July is certainly a crazy, busy, and even weird month around Hope Valley Baptist Church, but even though I am feeling tired in the midst of VBS week, I am truly thankful. Each night in Bible School, the children share “God sightings,” and it is interesting to hear the answers they offer. As I write this article during the early part of VBS week, let me say that I have had so many God sightings already this month as part of my involvement with this wonderful church. I have seen God in the smiles, laughter, and enthusiasm of more than 100 children who have attended VBS in the first two nights. 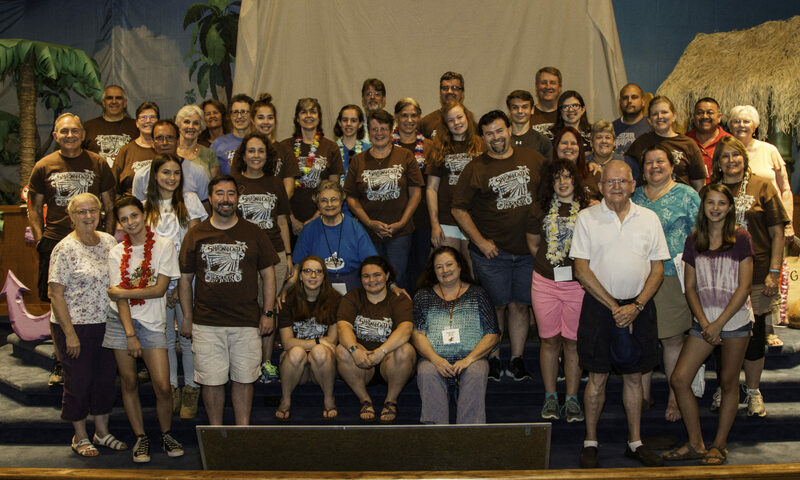 I have seen God in the energy and creativity of our HVBC family as you have decorated, prepared, taught, and loved the children who have been attending VBS. I am thankful beyond measure for the ways I see you making God’s love and presence visible in this vital week of ministry. It is truly a privilege to be pastor of a congregation that invests so generously of time, talents, and re-sources in the children of this community. There are simply too many people who deserve thanks to list in this column, but I am so grateful for the leadership and time that Amy and Jonathan Herring have given to make all these details come together. I have seen God as I have watched children dance and jump with joyous abandon during VBS songs, praising God with not only their voices, but also with their whole bodies. Though Baptists have traditionally been known for their support of dancing, I can’t help but think that dancing King David would smile at the scenes I see in our sanctuary each night. I have seen God as I have heard children tell with great detail the Biblical stories they learned earlier in the evening in their VBS classes. Amidst all the wiggling and seeming distractedness, many kids are hearing and learning the stories and message of Scripture. I have seen God as our youth shared on Sunday morning about their experiences at Passport Missions Camp last week. I was privileged to drive up and spend a day with the youth, and I felt extremely blessed to be able to watch our youth working hard at mission sites, laughing together during free times, worship-ping together, and sharing with each other the ways God is working in their lives. We are blessed with a remarkable group of young people who are growing in faith and in their commitment to serve God collectively and individually. I have seen God as I watched our youth open their “Camp Buddy” letters on the night I was with them. I sensed that they really appreciated the support of the adult members of this congregation and understood the significance of knowing that their church family prays for them and supports them. I see God at work in many ways and am blessed by the ways I see you using your gifts and talents to serve God, the church, and this community. Thank you for the opportunity to walk with you through life and ministry.